The best testing scenario includes all family DNA from the mother, child, and both of the alleged father’s parents (the child’s paternal grandmother and grandfather). As a result, including more familial DNA in the test retrieves a much more accurate sample. Including both of the alleged father’s parents allows the alleged father’s DNA to be reconstructed. Including the mother’s DNA accounts for 50% of the child’s alleles. Furthermore, the remaining 50% of alleles identify the father’s DNA. You receive 50% of your genes from each parent. Consequently, comparing the alleged father’s reconstructed profile against 50% of the child’s DNA gives results as accurate as a paternity test. Each time you remove a relative from the test, such as a grandparent or mother, the strength of the genetic evidence decreases. Therefore, testing all four individuals is the best testing option. 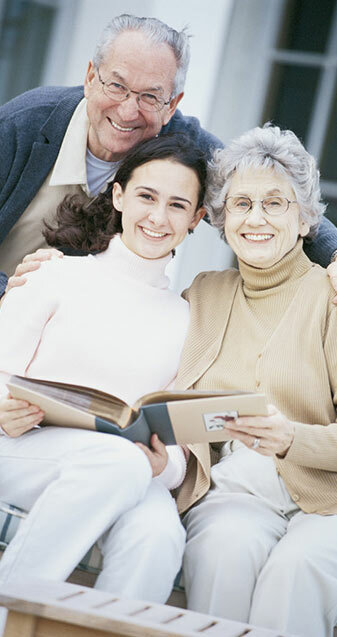 Grandparentage testing creates a wonderful option for people who need answers. We price our services competitively and provide accurate results on every test. Therefore, when you call or visit our company you can expect professionalism and unmatched quality of service. Upstate DNA has locations in Buffalo, Rochester, Albany, and Syracuse. Our team provides the best DNA testing service in Upstate, NY. We offer convenient locations, mobile collection services, and we promise a fast turn-around. Click here to learn more about our products and services.